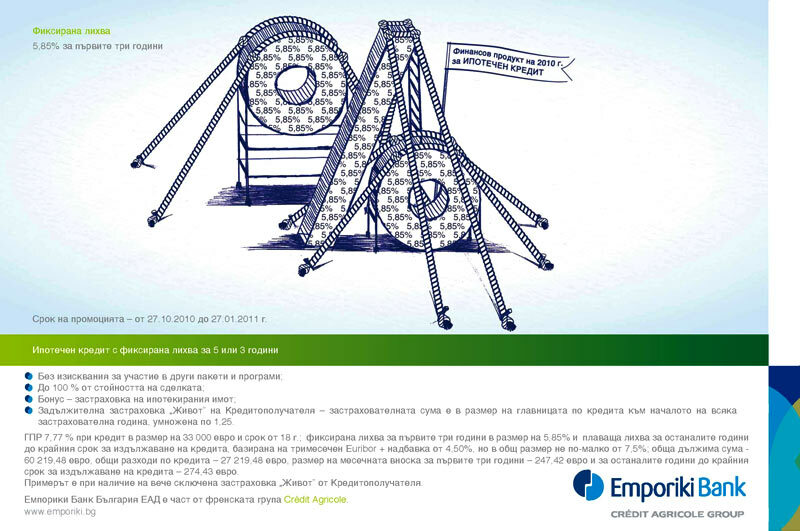 BARS developed creative concept for Fixed Rate Mortgage Loan of Emporiki Bank. The campaign is supported by ATL (TV, press, radio, OOH and Internet) and BTL (leaflets and posters). Copyright © 2010 Bars Advertising. All rights reserved.